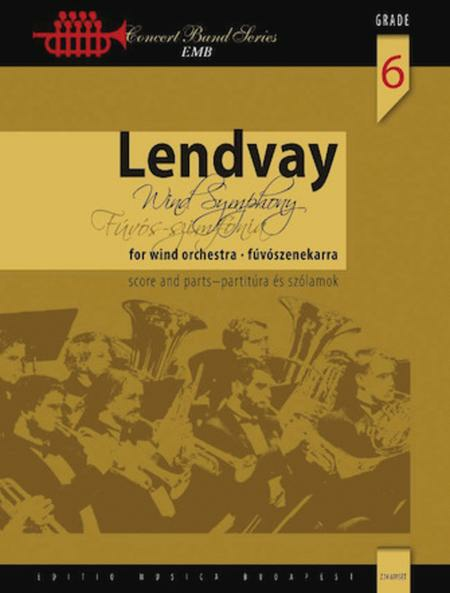 The world-famous Hungarian composer Kamillo Lendvay (b. 1928) has written not only operas, oratorios, cantatas, symphonies, concertos, chamber music and solo instrumental works but also a considerable number of pieces for wind ensembles. His Wind Symphony, composed in 2007-2008, consists of four movements: I. Invocation of the Muse - II. Sunrise in Copacabana - III. The Iguazu Falls - IV. Rio Carnival. The work was written for professional ensembles and will have its premiere in Szeged on April 16, 2010, performed by the Concert Wind Ensemble of the Faculty of Music of Szeged University, conducted by Jozsef Csikota. 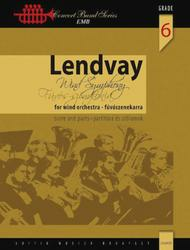 The world-famous Hungarian composer Kamillo Lendvay (b. 1928) has written not only operas, oratorios, cantatas, symphonies, concertos, chamber music and solo instrumental works but also a considerable number of pieces for wind ensembles. His Wind Symphony, composed in 2007-2008, consists of four movements: I. Invocation of the Muse - II. Sunrise in Copacabana - III. The Iguazu Falls - IV. Rio Carnival. The work was written for professional ensembles and will have its premiere in Szeged on April 16, 2010, performed by the Concert Wind Ensemble of the Faculty of Music of Szeged University conducted by Jozsef Csikota. Der weltweit bekannte ungarische Komponist, Kamillo Lendvay (*1928), komponierte neben Opern, Oratorien, Kantaten, Symphonien und Konzerten, Kammermusik und seinen Werken fur Soloinstrumente, eine grosse Anzahl an Stucken fur Blaserensembles. Die 2007-2008 entstandene Blaser-Symphonie ist vier-satzig: I. Invokation zu den Musen - II. Sonnenaufgang an der Copacabana - III. Die Iguazu-Wasserfalle - IV. Karneval in Rio. Das Werk wurde fur professionelle Ensembles komponiert, seine Urauffuhrung findet am 16. April 2010 in Szeged statt. Mitwirkende: Blaserorchester der Musikalischen Fakultat der Universitat der Wissenschaften Szeged, unter der Leitung von Jozsef Csikota. Le celebre compositeur hongrois, Kamillo Lendvay (Budapest, 1928), est l'auteur d'une impressionnante serie d'operas, d'oratorios, de cantates, de symphonies, concerti, oeuvres de musique de chambre, oeuvres solos et creations pour Orchestres a Vent. En 2007-2008, il compose sa Symphonie ndeg 6 pour Orchestre a Vent en quatre tableaux aux couleurs du Bresil : I. Invocation aux Muses - II. Lever de soleil sur Copacabana - III. Les chutes d'Iguazu - IV. Carnaval de Rio. Conosciuto in tutto il mondo, il compositore ungherese Kamillo Lendvay (1928), ha composto, accanto ad opere, oratori, sonate, sinfonie, concerti, musica da camera e pezzi per strumenti solistici, un importante numero di brani per ensemble di fi ati. La sua sinfonia per sei fiati composta tra il 2007 e il 2008, e costituita da quattro movimenti.